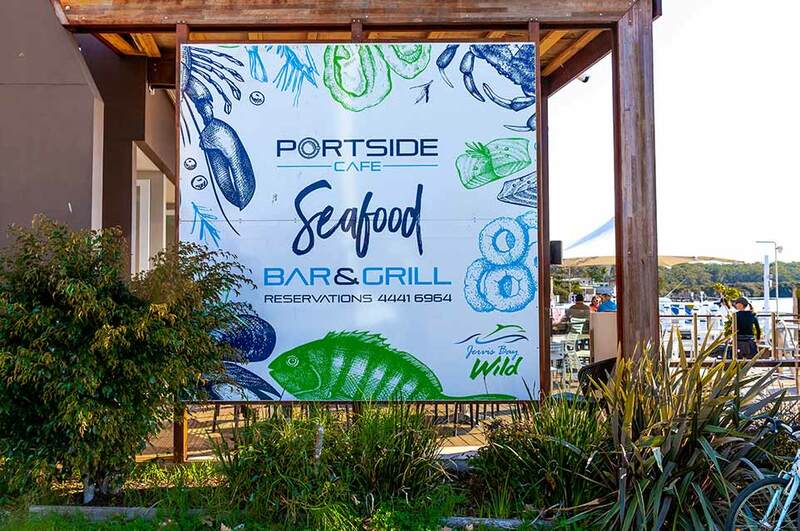 Open for breakfast, lunch and in the warmer months dinner, Portside Café, Seafood Bar & Grill is the only waterfront Bar & Grill right on the water here in Huskisson. 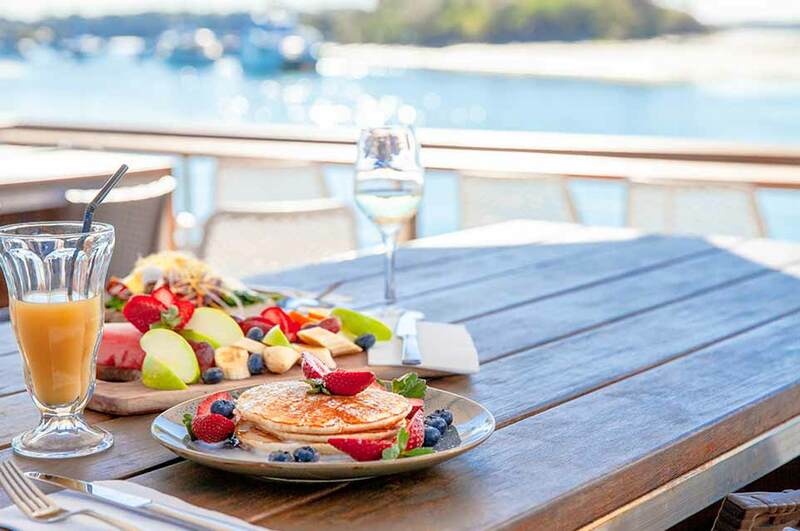 Our restaurant boasts some of the finest views overlooking the waters of Jervis Bay and offers quality service at great prices. Looking for that perfect venue for your wedding or work xmas party? We offer private functions which can accommodate up to 100 guests in our fully licensed premises. 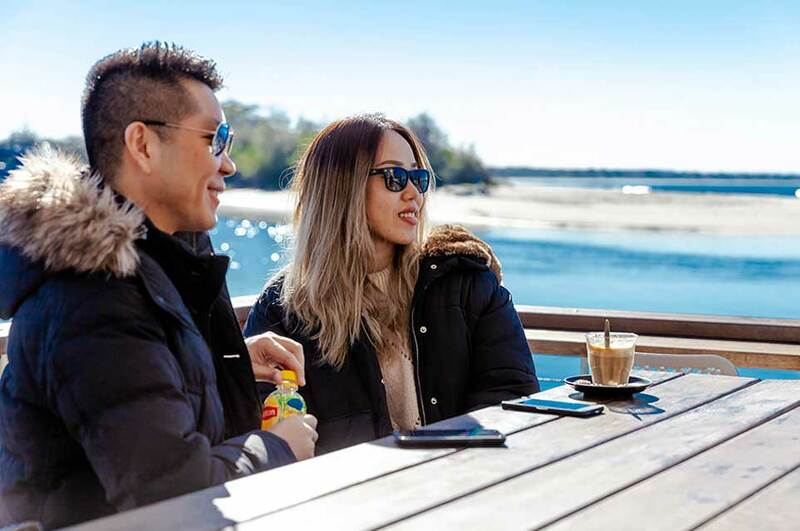 We are striving to bring you a unique and delicious dining experience here in Jervis Bay, with an emphasis on local flavours and the freshest of seafood dishes. 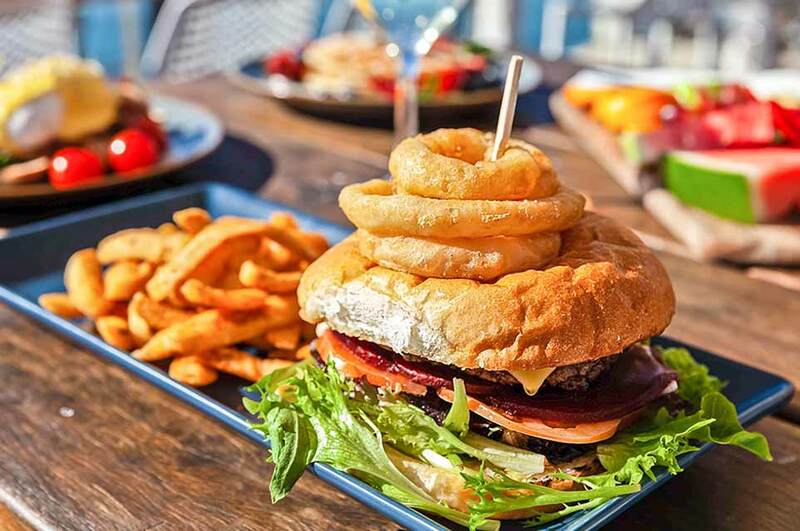 Situated right along the Huskisson Wharf, the Portside Cafe, Bar and Grill is a convenient and pleasant spot to grab a bite to eat. If you are seeking a relaxed spot where the atmosphere is laid back and low key, whether it be an early morning coffee or a refreshing afternoon glass of wine or beer, we have your table waiting. 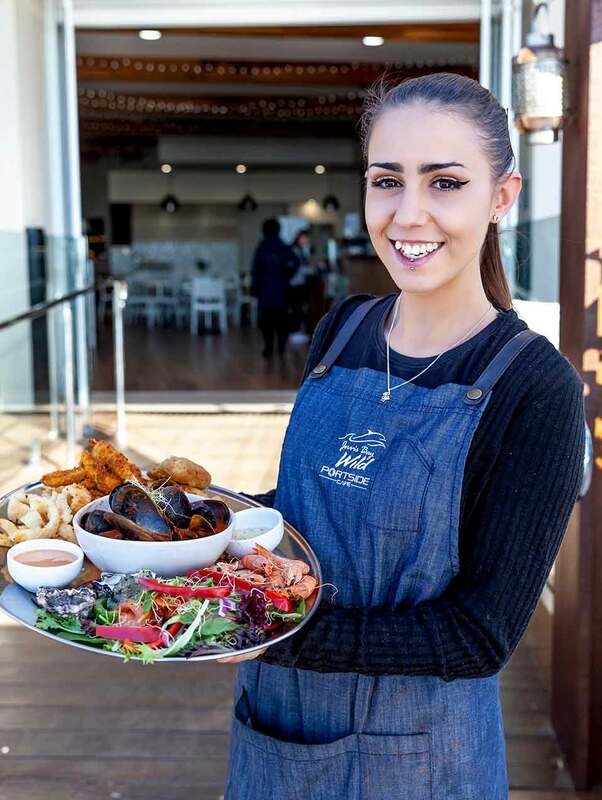 Whether you’re booked in for our dolphin eco cruise, our whale watching tour, or another of our wildlife-focused excursions, a meal or quick snack at the Portside Cafe presents a nice bookend to your day out. If you’ve already eaten your meals, a prime way to celebrate a wonderful and successful eco cruise is to enjoy a tasty dessert in our cafe. The bright flavours of sugar and sweetness provide a fantastic finish to an afternoon spent in the brisk and salty sea air. If you’re heading out on an afternoon eco-tour, pop in to pay us a visit for an energising lunch. Our menu includes meals large and small to wet any appetite.